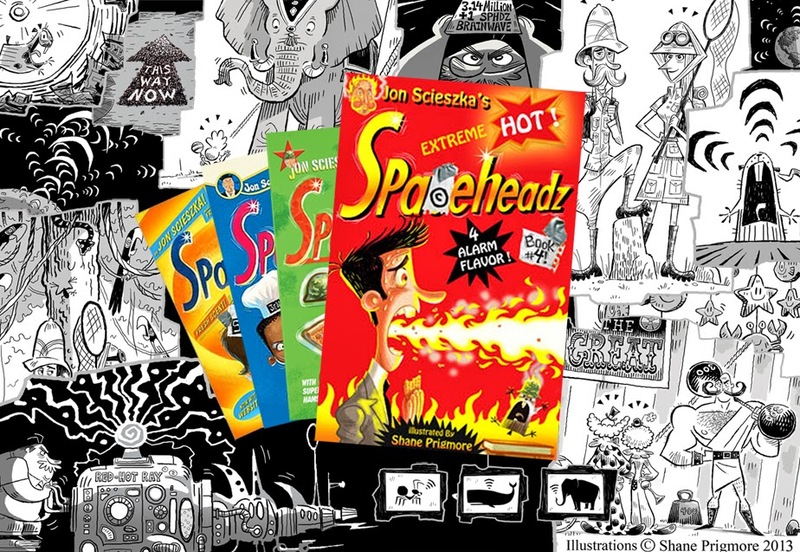 SHANE PRIGMORE: SPACEHEADZ 4 LIFE !!! 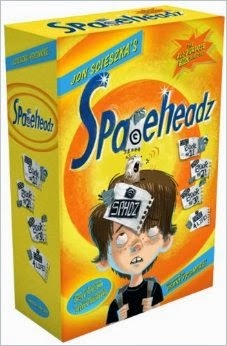 The 4th and final book in Jon Scieszka’s SPACEHEADZ series arrives in October; “SPHDZ 4 LIFE!”. 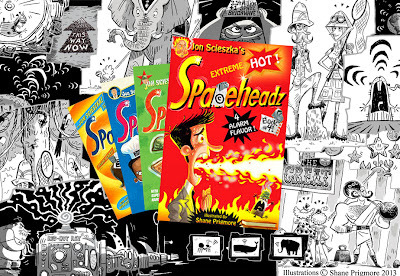 The "All-Purpose SPHDZ Boxed Set" will be released at the same time, packaging all 4 books together in paperback form. This series has been a lot of fun to work on with Jon and the amazing team at Simon and Schuster. I have loved spending time with Jenny, Bob, Major Fluffy, Agent Umber, Agent Magenta, The Pickle Phone, Nurse Dominique, Venus, TJ, the Kindergarteners, the Animals of the world, the Chief, Mom K., Dad K., Baby K., and of course Michael K.
2207 Honolulu Ave, Montrose CA 91020. I will be posting images from our “SPHDZ 4 LIFE” appearances and events soon. I have some stories illustrated, with them I would like to develop film into the medium of film or simply enter a artistic working group. Could you help me or contact someone? What should I do? Good day! This is my first comment here so I just wanted to give a quick shout out and say I truly enjoy reading through your articles. with the same subjects? Appreciate it! Diwali is known as the festival of lights, which falls on different dates every year. Happy Diwali Quotes With Images People and mostly Kids waits for the festival throughout the year as they got new clothes and many crackers to celebrate the occasion of Diwali. We are giving you for free Choti Diwali Wishes on this best occassion. We are giving you for free Choti Diwali Quotes on this best occassion. We are giving you for free Choti Diwali Status on this best occassion. We are giving you for free Happy Diwali dp for facebook on this best occassion. We are giving you for free Happy Diwali Quotes on this best occassion. We are giving you for free Happy Diwali Images on this best occassion. We are giving you for free Advance Diwali Wishes on this best occassion. We are giving you for free Advance Diwali Quotes on this best occassion. We are giving you for free Advance Diwali Status on this best occassion. We are giving you for free quotes for republic day on this best occasion. There are no nosy inquiries which apply to the reason for the budgetary crisis. What a title moneylender needs to know is based around the result. the CROODS post 05 HAPPY EASTER!